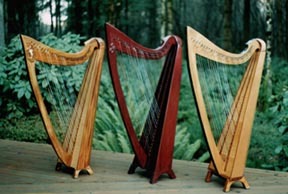 These are Orion, Songbird, and Rhapsody model harps. Each harp's carving is unique. 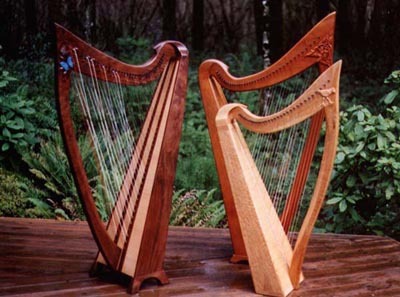 Blessley Instruments will create a special wood carving for your custom harp. Take me to the cross-strung harps! See the models preferred by professional cross-strung harpists. Learn about her harp adventures by boat! 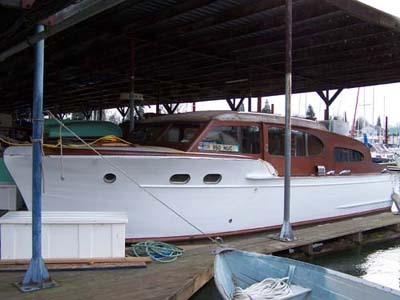 Watch us restore "Mark's Harpo," our 1953 Chris Craft Double Cabin boat.